Customs compliance is our priority. Whether you're a Customs Broker, Freight Forwarder or Self-Filer, we take pride in saving you time, reducing your costs and keeping you compliant. We’ve got your back with IT so you can focus on your core business. We host and manage our platform in a highly secure, fully redundant cloud platform that meets all ISO and security standards. In addition to 3461 and 7501, FDA/PN and all active PGA forms, you can use choose any of our modules for standalone filing: ISF, In-Bond (7512), FTZ (e-214), AES (Export),Truck Manifest, Reconciliation and Duty Drawback. Utilize our query module for Air AMS, Ocean AMS, Bond, Tariff, FIRMS, SCAC, AD/CV and Quota. ACELYNK is built to connect with external systems to make EDI implementation quick & easy. This means we can create automation with you or even your customers who may want to send their data direct from their own ERP. We support all file formats and protocols. In a perfect world, shipments would always be cleared and ready for delivery as scheduled. But in our world, we must count for exceptions. ACELYNK’s Visual Tracking is a dashboard style system that enables internal and external departments to see the status of manifests, entries and PGA's, as they change in real-time. Go paperless! We take away all excuses for needing to print or scan documents. Simply upload your shipping documents for compliant storage, further manipulation and distribution. They will be digitally stored in a secure, multi-redundant environment and always available for retrieval. Streamline your supply chain by integrating your parts, PO’s and shipments with a system that behaves like it is a part of your ERP. ACELYNK is an open API platform and can be utilized as your company’s gateway to CBP. With the Navigator platform, you'll have access to our U.S. Customs certified portal for ACE filings and CHB management. Navigator ensures you remain compliant while significantly reducing costs and increasing operational efficiency. Our vision at ACELYNK is to create a solution for companies that seek technology as their differentiator. We believe 'great service' is only met when we enable our clients to meet the challenges of their customers. This is the basis of the Navigator Pro technology. Get up and running quickly with no software downloads or hardware requirements. The ACELYNK portal is available to you from any device - all you need is an internet connection. Receive updates and alerts in real time. In an industry that’s always on the go, ACELYNK keeps you and your customers continuously updated on shipment statuses. As a part of our commitment to compliance, we make the required software updates to meet new or changed regulations free of charge. Tariff schedule and other updates occur automatically as they are published by CBP. We believe that providing you adequate support is key to our success. To this end, you get access to a ticketing system that is monitored 24/7. Our goal is to respond to issues within 15 minutes and resolve them within 30 minutes. Emergency situations are handled as priority. We provide you with online Help and a User Manual within the application. They provide tutorial videos, sample screenshots, How To’s and most common error messages. Feel free to contact us when you need a refresher walk-through. We are made up of a team of young and young at heart individuals who love what we do. We all share a simple vision: to create a cloud-based community for Customs filers. We believe our cloud technology simplifies the traditional Customs brokerage operations, creates a paperless environment and affords the flexibility to work from home when life requires it. We began our journey in 2010 and today we facilitate thousands of filings in real-time each day. We love our customers and try hard to keep them happy. "ACELYNK is my one-stop-shop for all my customs business. I have everything I need on the ACELYNK platform to run my business, plus customer service and support that outshines any software provider I have worked with. Not to mention, it is a true cloud based system, so I can access it even when I am traveling or if I have an emergency away from the office...." Read her full story here! 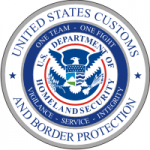 Courtney Lomelo LCHB, CCS - Vice President N/J International, Inc.
As a customs broker in the southern border, ACELYNK worked with us to accommodate the special requirements set by local US CBP. Now, ACELYNK is 100% compatible with the southern border thanks to their support and development team working with us. Their reliable cloud backed system has never failed us, and ACELYNK is constantly working on improvements to help us comply with the latest customs requirements. We couldn’t be happier with ACELYNK. The platform is easy to use, the staff is helpful and responsive and we gain significant results in imports/exports operations. Javier R Munoz - Global Trade Compliance Mgr. PriceSmart Inc. When I became a licensed customs broker 8 years ago, I chose to work with ACELYNK after a careful review of many customs brokerage software options and several demo presentations. ACELYNK stood out among the competition for being at the cutting edge of technology, the easiest to learn and to use, and its willingness to work with a small, start-up company like mine. Boy, did I make the right choice!... Read her full story here! ACELYNK’s attention to detail and ease of use makes it easy for us to satisfy our customers and to stay on top of USCBP changes. We recommend ACELYNK to other US Customs Brokers. One of the main reasons we chose ACELYNK was its automation technology. We have a few high-volume clients with mission-critical supply chain and it used to take two full-time and one part-time employees, to manage their entry filings and document production requirements. ACELYNK’s EDI technologies helped us automate the entire process from clients' ERP to CBP, and returning status and release documents back to client. This was one of my major goals and ACELYNK helped me make it a reality. When I began doing business as a customs broker, after many years of holding a license but not operating, clearly business had changed very much from what I knew then. ACE was a whole new world for me. Needless to say, understanding ACE and its success in communication was no easy feat, but the ACELYNK Team was kind, patient, motivated enough to help me understand how the system worked and to eventually facilitate a virtually error-free ACE environment... Read her story here! Pricing Plans Tailored for You! Which platform best suits your needs? Which solutions would you like to see? Would you like a quote? to request a demo? or general information?